Cole Sprouse made his way to the grey carpet last night(October 15th) for ELLE's 25th Annual Women In Hollywood celebration took place at the Four Seasons Hotel in LA. 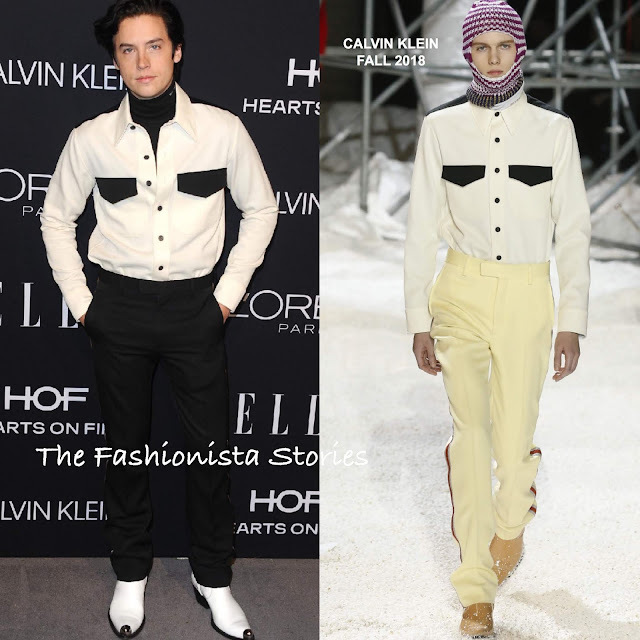 He saddled up in head to toe CALVIN KLEIN FALL 2018 which featured a long sleeve ivory button shirt with a contrasting black flap pocket & a black tee shirt underneath, black trousers and white metal toe cap boots. Cole was serving up cowboy realness and I thought he looked great in this ensemble. Are you feeling Cole's look?